Back in June, I created my list of 101 things I want to accomplish within 1001 days - my 101 in 1001, if you will. 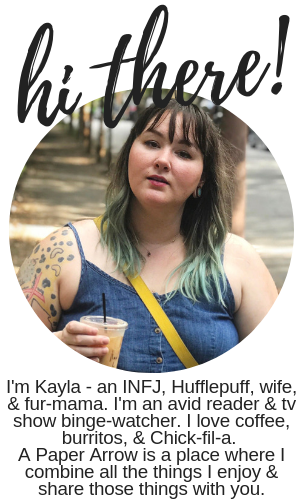 I checked in with my first update in November. I've completed or worked towards completing a few things since then. 22. Organize a girl's night out. Organized a GNO on 2/10/17 for dinner and a movie. There were 11 of us and we went and saw Fifty Shades Darker. Even with a few logistical issues, the night was a success! 31. Complete a round of Whole30. Completed a round of Whole30 from 1/7/17-2/6/17. 68. Update old blog posts. I'm not finished with this, but I've been gradually updating past posts. 70. Increase my Instagram following to 500. (499/500) This had gotten to 506, but is now back down to 499. Follow me here! 75. Read all the books I already own that I haven't read yet. (See my list of these books here.) I'm gradually reading some books from this list (tossed in with a bajillion other books I've been reading). 77. Read at least 100 books. (48/100) I'm approximately halfway there! 78. Complete a reading challenge each year. (1/3) I was short just a few books for 2016, but mostly completed a challenge for 2016. I definitely look forward to completing the 2017 reading challenge! 80. See the midnight premiere of Fantastic Beasts and Where to Find Them and the sequels (if they come out within the 1001 days). Midnight premieres have become earlier premieres the day before the release date. I went and saw Fantastic Beasts in IMAX for the premiere on 11/17/16, and then saw it again a few weeks later. 81. Watch all the tv shows currently on my Netflix queue. (See my list of these shows here.) Working on this. I finished Dawson's Creek (Hulu), and I'm currently catching up on The X-Files. 95. Do at least six random acts of kindness each year. Working on being kind regularly and doing things that are unexpected to make people a little happier. 96. Donate blood two times each year. (2/6) Donated once in 2016. Donated early in 2017. 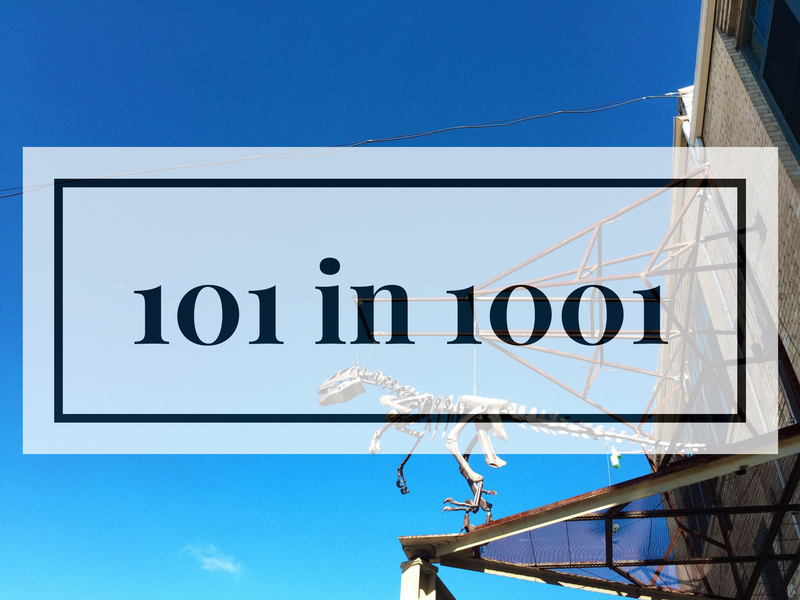 Do you have a 101 in 1001 list? Leave the link in the comments below so I can check it out! I'm linking up with Macy over at To Travel and Beyond for this post today. You are doing so well on your list and covering so many of your categories. Starting to focus on others on a regular basis is great. I'm so proud of you!! Thank you, Macy! I'm so glad to have found this challenge through you to be able to work on my goals regularly! You're doing such amazing things! I love seeing what you're up to! Thank you so much, Emelia. What a great list you have! I especially love the donate blood one.